To make a truly great beer, you need more than just high-quality grains and a killer technique or two. You also need happy, healthy yeast. Now, we’re not talking about microbes who star in an Up with People revival or yeast plucked from an infomercial audience. You’re after yeast that will operate at peak efficiency as they chow down on the sugars in your wort to create alcohol and carbonation. And the secret to A-game yeast is a high-quality yeast starter. “Hold on there, chief,” you might be saying. “Do I look like Mill Rye, the Beer Science Guy?” Relax. A yeast starter is just a small batch of beer you use to grow, or propagate your yeast, letting them feed on the nutrients within until you’ve got enough to ferment your latest batch of homebrew. The best part is, you can make a quality yeast starter from packaged liquid yeast or even your own bottle-conditioned homebrew. Get ready for fermentation elation! Why Make a Yeast Starter? We all know packets of dry yeast already exist. So why should you got to the trouble of making your own yeast starter when you could order up a crate online or nab a handful at your nearest shop? Well, as you might imagine, what’s convenient isn’t always what’s optimal. Especially in a tinkerer’s paradise like the world of homebrewing. 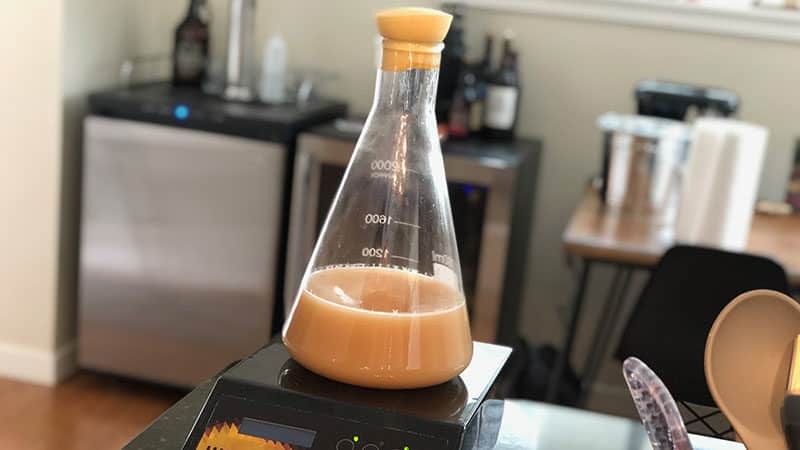 Just like growing hops at home or roasting malts in the kitchen on a rainy weekend, making your own yeast starter gives you the power to truly customize your homebrew. Dry yeast can be a bit squirrely in the vitality department. Is it fresh? Is it old? Is it even alive? Nothing’s more disappointing than using some dusty, generic yeast and discovering it’s more Abe Vigoda than ale fermentor. Also, dry yeast limits you to whatever strains are commercially viable and therefore available for sale at your local hobby shop or online store. Liquid yeast packets are fresher and offer more variety than dry, but they still can suffer from storage or age issues that leave the viable yeast count too low for your purposes. Plus, that “greater variety” still might not include the exotic strain you’ve been stalking for your Obscure Doppelbock of Doom. It also might not be lively enough to properly convert all those sugars into alcohol, sending your beer off target. Whether you use dry yeast or liquid yeast is the least of your worries if you can’t get the variety—or vitality—you’re after. “Hey! What about yeast slants?” you ask, eyes narrowing. Well, for test tubes with agar and a bit of yeast inside, they’re great. They also have some varieties on offer that you might not be able to get as a liquid or a dry packet. But you’ll get far fewer than the 100 billion or so yeast cells you need to ferment five gallons of wort with a specific gravity (i.e., density compared to plain water) of less than 1.060. And speaking of those hypothetical 100 billion yeast cells, if you’re brewing high-gravity beers like imperial stouts, you’ll need either more yeast, a more powerful variety, or both. They’ll also need to be alcohol-hardy and high-performance, which means buying them over and over again could get pricey, especially when compared to keeping your own supply. You can grow however much yeast you need in order to ferment your wort with a yeast starter. More importantly, you’ll have first-hand knowledge about the health and hardiness of your yeast. You can even resurrect an older yeast you’re not quite sure about. Think of the starter as a quarantine for any yeast with suspected health or contamination issues. Why ruin your whole batch with potentially sketchy yeast when you can test things out with a small starter batch? You need around 100 billion healthy, hungry yeast to turn five gallons of wort into beer. Sure, you could stage an elaborate, Ocean’s 11-style heist of your local yeast bank, but while that would make a hilariously awful movie, it’s not really practical. Making a yeast starter filled with clean, healthy yeast can give you all the fermenting power you want or need. You’ll supercharge your fermentation, keep wild yeast and bacteria at bay, and end up with a better-tasting beer. A truly perfect yeast starter isn’t just about increasing the number of yeast, of course. To paraphrase Aesop’s sassy mama lioness, quality matters as much as quantity. Those billions of hard-working yeast are more likely to be vibrant and efficient with a yeast starter. No lion. A high-quality starter means a fast start and a quick finish in the fermenter. Quick fermentation will give you cleaner-tasting beer with fewer esters, phenols, and other chemical byproducts of yeast metabolism that can ruin flavor once your wort’s in the fermentation chamber. Healthy, strong yeast give you a crisper, drier beer, with on-target attenuation and less chance of stuck fermentation. A good start makes for a great finish. To give your yeast the best possible start in life, it’s important to understand a few basics of yeast health and behavior. Just like the gods of ’80s stadium rock, the yeast in your starter are definitely under pressure. In this case, the force in question is known as osmotic pressure. When a cell membrane (like the membrane of a yeast cell) separates two solutions with very different concentrations of a given substance, that membrane is under high osmotic pressure. A good example would be a sugar-rich wort for a high-gravity brew. The high concentration of sugar solution outside the yeast compared to the fluid inside it creates high levels of pressure as the solution seeks to move from a high concentration to a lower one. 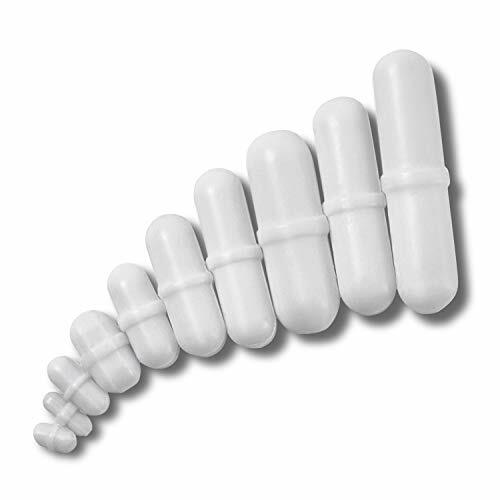 Too much osmotic pressure can put your yeast under stress, altering its metabolism. To avoid potential problems, keep a close eye on the specific gravity of your starter. 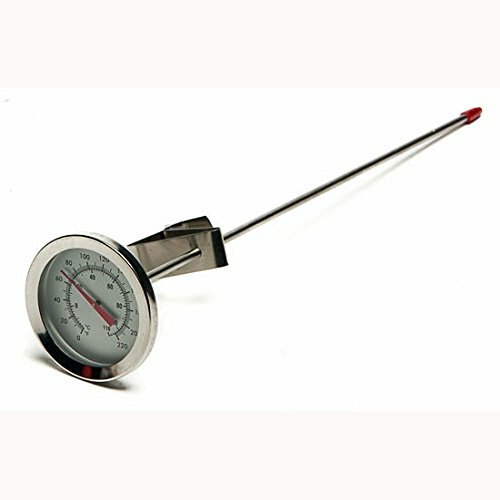 Use a hydrometer If you click this link and make a purchase, we earn a commission at no additional cost to you. for optimal accuracy, and keep the specific gravity in the range of 1.030–1.040. If you’re starting with a very small amount of yeast, or you’re not sure about its viability, aim for an even lower gravity of around 1.020. Oxygen is also critical to yeast growth. For most strains, 8–12 parts per million (ppm) of oxygen is ideal. And because boiling liquids causes oxygen loss through evaporation, make sure you aerate your wort before adding the yeast. For a small starter, vigorous shaking should do the trick. For regular yeast starters, use a wort aerator If you click this link and make a purchase, we earn a commission at no additional cost to you. to boost oxygen levels. Temperature can also affect how quickly your yeast replicate. Keep your starter at 70°F–75°F (21°C–24°C) for best results. 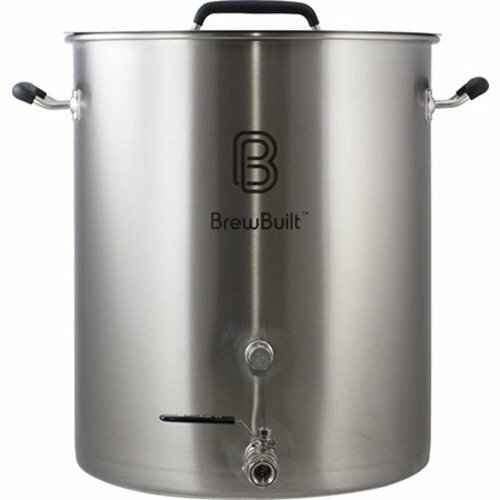 Make sure you’re pitching your yeast into wort that’s at the same temperature If you click this link and make a purchase, we earn a commission at no additional cost to you. as your yeast, or cooler. Why are you playing things cool? It’s all about protecting your adaptable but sensitive yeast. Anytime you toss yeast into an environment that’s too different from its current state, you’re going to have some stressed, underperforming, or even dead microbes. If you pitch a warm starter into cool wort, you can actually shock the yeast and put them to sleep, slowing fermentation. You’ll have much better success with cold pitching, or pouring the starter straight from the refrigerator into wort that’s already been cooled to a few degrees below the optimum fermentation temperature for the yeast strain you’re using. 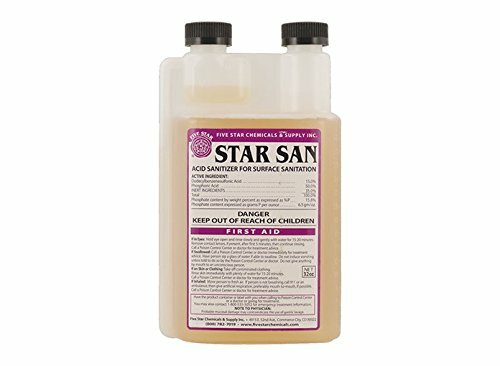 As with most other aspects of homebrewing, a good brewing sanitizer If you click this link and make a purchase, we earn a commission at no additional cost to you. is an essential part of making a useful and productive yeast starter. Sanitize everything that’ll come into contact with your starter to make sure your yeast are healthy and safe. After nabbing some happy and efficient yeast, you’ll need to calculate your pitching rate, or the approximate number of yeast cells required to ferment your batch of wort. Pitching rates will vary based your wort’s specific gravity, which is based at least in part on the the beer style you’re brewing. Note: This does require a bit of calculation, so if you’re not mad for math, you can use an online calculator and skip to the next section. Pitching rates are usually given in terms of number of cells per milliliter or liters per degree Plato (mL/°P or L/°P). Each degree Plato is equivalent to 4 gravity points of specific gravity. Let’s say a particular beer style calls for a pitching rate of 1,000,000 (1 million) cells/mL/°P. We can simplify that to 1,000,000,000 (1 billion) cells/L/°P. The wort has a specific gravity of 1.040, or 10°P (.40 = 4 points × 10). Your average batch of homebrew is 5 gallons, or 19 L.
We need around 190 billion yeast cells to ferment 5 gal. (20 L) of wort at a specific gravity of 1.040. In calculating your pitching range, remember they’re usually given as a range rather than an absolute value. Different styles have different sweet spots, so it’s important to do your homework and experiment until you find the right range for the beer you’re brewing. If you want a lighter beer, you’ll pitch toward the lower end, which can result in a higher initial growth rate and more by-products of yeast metabolism, such as esters and phenols. If you’re brewing a wheat-based beer like a Hefeweizen, that can be a good thing. If your goal is a heavier beer, you’ll probably pitch toward the upper end of the range, which will give you a clean-tasting brew with a less-fermented character, ideal for lagers. Starter Size: How Big is Big Enough? Yeast is a living organism, and it needs enough food and nutrients If you click this link and make a purchase, we earn a commission at no additional cost to you. to grow and reproduce. If your starter is too small, your yeast have less room for growth because they use up the available nutrients too quickly. Don’t break out the ten-gallon bucket just yet, though. A yeast starter that’s too big can overwhelm and stress your yeast, reducing performance. Your yeast starter size is determined by how many cells you want to begin with, and how many you ultimately need for the particular beer you’re making. You might’ve heard that .26 gal. (1 L) is the ideal size for a starter made with a packet of liquid yeast. But this one-size-fits-all approach isn’t exactly optimal. Depending on your goals, you might need .53 gal. (2 L)—or more—of starter for a 5 gal. (19 L) batch, assuming you start with a package of liquid yeast containing around 100 billion cells. Brewing a high-gravity beer or a big batch? You’ll definitely need more yeast. Also, growth rate is a function of starter size. Let’s say you have a package of liquid yeast that contains 60–120 billion cells. Putting that into a .26 gal. (1 L) starter can double your yeast count in a day or so. But if you make a .53 gal. (2 L) starter, you’ll end up with around 2.5 times the number of cells you started with. Adding the packet to a .79 gal. (3 L) starter will triple the number of yeast, and so on. As with pitching rates, your fastest and most convenient option is to use an online calculator to give you maximum precision when establishing your yeast starter size. If you’re not keen on investing in extra equipment, or don’t feel like building a stir plate yourself, you can rouse (shake) your yeast regularly to encourage aeration. Both methods can help improve the quality of your yeast, and therefore your beer. But a yeast starter stir plate can effectively double the number of yeast produced compared to rousing. Why? Because a stir plate effectively suspends the yeast in a constantly swirling environment where oxygen is freely available, and the waste products they produce (including CO2) are carried away. With maximum available oxygen and plenty of room, the yeast have a much better environment for multiplying. Occasional shaking will still improve your yeast yield over no starter at all, but to really boost the productivity of your yeast If you click this link and make a purchase, we earn a commission at no additional cost to you. , a stir plate is the way to go. Can you over-spin your yeast? Well, unless you’re firing up a CERN-style centrifuge, a gentle spin is all you really need. Your stir plate probably isn’t packing enough power to create the kind of forces that stress yeast in an industrial brewing environment, but a little caution can’t hurt. Your goal is to increase the available space for the exchange of gases—specifically, the release of CO2 and the increased suspension of oxygen. More oxygen means better health for your yeast, and a greater number in your starter. You can accomplish this at relatively low speeds. Aim for a vortex that ends just above your stir bar If you click this link and make a purchase, we earn a commission at no additional cost to you. . A huge whirling vortex that touches or envelops your stir bar might look cool, but it increases the chances your stir plate will “throw” the bar, leaving you with a starter that’s going nowhere. How long should you stir your starter? The rule of thumb is 12–24 hours. Suspended as they are in the swirling solution, your yeast will gobble up the oxygen on offer and use it to reproduce. The swirling motion also discourages the yeast from flocculating, or clumping up and settling to the bottom of the flask. Your results may vary, and of course the number of yeast required will affect how long you let your starter whirl and swirl. But overall, a slow, steady stir for a day or less will produce a top-notch starter. You know the theory. You’ve found your yeast. Gentlebrewers, start your, er, yeastin’. Note:To give your yeast time to reach their peak potential, make your starter one or two days before brew day. 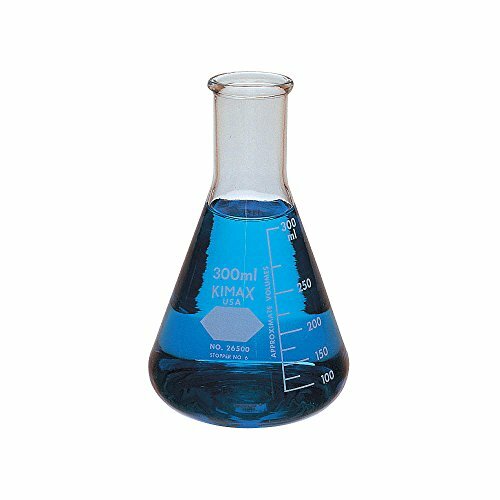 Borosilicate glass laboratory flask If you click this link and make a purchase, we earn a commission at no additional cost to you. , large enough for your starter plus ample headspace. For example, a 1.1 gal. (4 L) flask is ideal for a .53 gal. ( 2 L) starter. Funnel If you click this link and make a purchase, we earn a commission at no additional cost to you. Aluminum foil If you click this link and make a purchase, we earn a commission at no additional cost to you. or a rubber stopper If you click this link and make a purchase, we earn a commission at no additional cost to you. . Don’t use a bung and airlock. Yeast nutrient If you click this link and make a purchase, we earn a commission at no additional cost to you. 1 package of liquid yeast If you click this link and make a purchase, we earn a commission at no additional cost to you. Note: If you’re using yeast with an inner nutrient packet, take it out of the fridge about four days before brew day, and burst it by squeezing the inner packet. Shake it up and let it rest overnight in a warm place until the packet has fully swollen. To make the starter, add 2 cups (7 oz., or 200 g) of Light DME to .53 gal. (2 L) of water in your brew kettle If you click this link and make a purchase, we earn a commission at no additional cost to you. or pot. Note: If you’re using a gas stove or burner, you can also boil your starter directly in the flask, although a separate pot helps you avoid boilovers. For safety reasons, never boil your flask on an electric stove or burner. Boil for ten minutes, stirring regularly. If you’re using a separate container to boil your wort, clean and sanitize your flask while you’re boiling your wort. For added insurance, you can put the flask in the oven at 250°F (121°C) for an hour with a piece of foil If you click this link and make a purchase, we earn a commission at no additional cost to you. over the mouth of the flask. Since you only boil your wort for ten minutes, you’ll need to complete this step and allow your flask to cool before you begin your boil. Put the lid on the pot during the last few minutes of the boil in order to sanitize the lid. Be careful of boilovers. After the boil is finished, add ⅛ tsp. (.17 oz., or 4.8 g) of yeast nutrients to the mixture. Move your flask to the sink. Using a funnel If you click this link and make a purchase, we earn a commission at no additional cost to you. , pour the hot wort into the flask. If you’re using a stir bar, add it now to sanitize it. Submerge the flask in the ice water bath, and cover the mouth with sanitized foil. Add a flask weight If you click this link and make a purchase, we earn a commission at no additional cost to you. , if you’re using one, to keep the flask bottom submerged in the bath. Using an oven mitt, swirl the flask, swishing the wort so it cools to 65°F–75°F (18°C–24°C). Once the wort is cool, sanitize the outside of the yeast package and pour the yeast into the flask. Swirl to combine. If you’re using a stir plate, put the flask on the plate and turn it on. Put the whole thing on a safe, sturdy surface, out of direct sunlight. Keep it at a steady temperature of 70°F–75°F (20°C–24°C). If you’re not using a stir plate, make sure the flask is tightly covered and shake it vigorously for about a minute. For the next day or two, give the starter a periodic swirl. Use a gentle touch, because the starter can foam up and out of the flask if you swirl it too vigorously after fermentation has begun. Note: For larger batches or high-gravity worts, you can repeat this process until you’ve collected enough yeast to pitch. If you’ve already brewed up some of your favorite beer, there’s no need to go shopping for yeast. You’ve got some tiny, trusted friends on hand who’re champing at the bit to make even more delicious beer for you. Note:Your starter size will be smaller than with packaged yeast. Also, the specific gravity of your wort should be relatively low (around 1.020) because higher-gravity wort will overtax the yeast cells. You’ll need the same equipment as with a packaged yeast starter. But instead of a fresh package of liquid yeast, you’ll need 2–3 bottles of bottle-conditioned or unfiltered, canned craft beer. 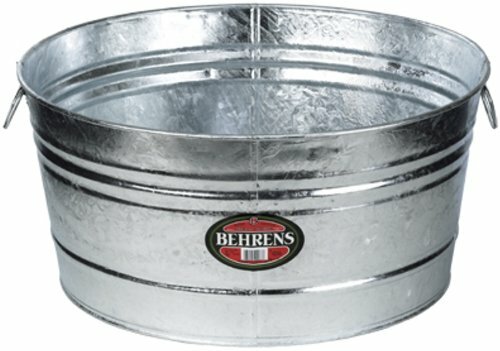 Prepare an ice bath to cool your wort, ideally in a sink or steel tub If you click this link and make a purchase, we earn a commission at no additional cost to you. .
To make the starter, add 1 tsp. (.7 oz., or 20 g) DME to 2 cups (16 oz. or 473 ml) water in a pot and swirl to combine. Your starting gravity should be around 1.020. Boil for ten minutes. Stir frequently. If you’re using a separate pot, clean and sanitize your flask If you click this link and make a purchase, we earn a commission at no additional cost to you. while your wort is boiling. You can put the flask in the oven at 250°F (121°C) for an hour with a piece of foil over the mouth of the flask to help ensure it’s fully sterilized. Complete this step and allow your flask to cool before you begin your boil. Sanitize the pot lid by adding it during the last few minutes of the boil. Watch out for boilovers. After the boil is finished, add ⅛ tsp. 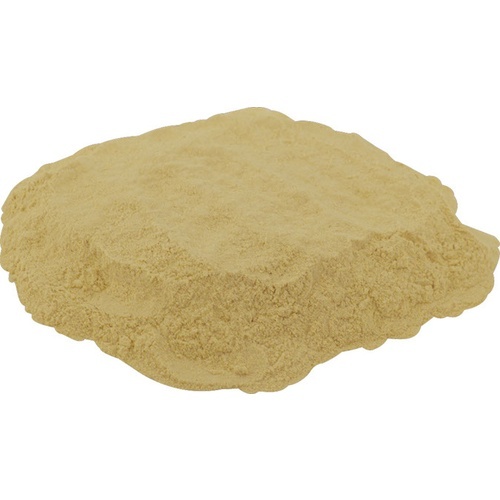 (.17 oz., or 4.8 g) of yeast nutrient If you click this link and make a purchase, we earn a commission at no additional cost to you. to the mixture. Move your flask to the sink and, using a funnel If you click this link and make a purchase, we earn a commission at no additional cost to you. , pour the hot wort into the flask. If you’re using a stir bar, add it now to sanitize it. Submerge the flask in the ice water bath. Cover the mouth of the flask with sanitized foil. If you’re using a flask weight If you click this link and make a purchase, we earn a commission at no additional cost to you. , add it now to keep the flask submerged. While the wort is cooling, sanitize the bottle tops and cover them with sanitized foil. When wort has cooled to 65°F–75°F (18°C–24°C), remove the foil from bottles. Swirl the bottles to create a slurry, and then carefully decant the yeast from the bottles directly into the wort. 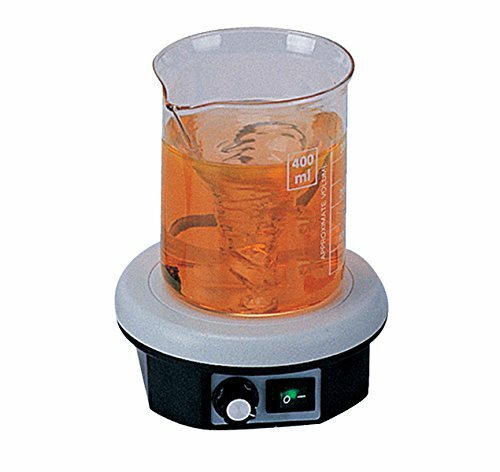 If you’re using a stir plate, add your flask and turn it on. Keep your starter out of direct sunlight, and keep it in the range of 70°F-75°F (20°C–24°C). After 12–18 hours have elapsed, turn off the stir plate. This will give the yeast time to propagate before you pitch it. After 24–48 hours, you should see the yeast settle out, and propagation will be complete. If you’re not using a stir plate, shake the flask vigorously for about a minute. Over the next 12–18 hours, swirl it frequently. Don’t get too enthusiastic, since over-swirling can cause the starter to foam over. Once 12–18 hours have passed, let the starter rest so it can propagate. In order to reach the number of yeast needed to ferment your brew, you’ll probably want to make at least one more batch of starter wort. For the second batch, use 2 cups (7 oz., or 200 g) DME to .53 gal. (2 L) of water. Aim for a specific gravity of 1.030–1.040. Boil the wort, then add a pinch of complete yeast nutrients and cool as with the previous batch. Add the second batch to your first batch of yeast starter and either return it to your stir plate or give it a good swirl. Let the starter stir on the plate for 12–18 hours, or swirl periodically during the same if you’re not using a stir plate. Let your starter rest as with the first batch. When it’s at peak fermentation—also known as high Kraüsen—your yeast starter is ready to pitch. Depending on the temperature, size, and pitch rate, this usually happens 24–48 hours after you create the starter. If you decide to let the yeast settle, your starter will still good for pitching for up to two days after the yeast settles. But if you wait longer, you may need to replenish the starter, since your yeast may have used up their nutrition reserves. Replenishing your starter is easy. Simply make another batch of wort, then add it to your starter and allow it to ferment again before pitching. Cool your wort in the fridge, and either pitch the full starter directly into your wort or decant it—i.e., transfer the wort it to another container, leaving the yeast behind—and then pitch. When your yeast are ready to pitch, you can simply pour the whole shebang into your wort with minimal impact to the final beer. But you might want to take a different route if you’re brewing a very light-bodied beer, or you’re using a large starter. This is especially true if you’re concerned about the starter wort altering the flavor or original gravity of your beer. To avoid potential issues, you can decant the starter into another container before pitching. Decanting is easy to do. When your yeast starter is finished fermenting, pop it in the fridge overnight and let the yeast settle to the bottom. When you’re ready to pitch your yeast, pour off most of the wort into another container. Make sure to leave the layer of yeast at the bottom. The tiny bit of remaining wort isn’t going to hurt your beer, and ensures all of your yeast make it into the batch so they can do their job. Making the perfect yeast starter for your beer doesn’t require a degree in biochemistry. And whether you use prepackaged yeast or gather your own, you can get better fermentation and hit your gravity targets more easily with a high-quality starter. All it takes is a basic understanding of yeast health and behavior, the right gear, and a little math. You’re ready to create a yeast starter that’s the beginning of some truly beautiful beer.